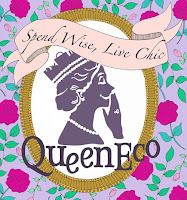 Food and travel guest blogger hkLifestyleGeek gives us her next scoop on fantastic restaurants around town and travel tips. Shang Palace at the Kowloon Shangri-La really wants three Michelin stars. It got two this year after chef Mok Kit-keung arrived from working two decades in Singapore, including stints at Raffles Hotel and Marina Bay Sands. He even cooked for the King of Morocco for three months which was surely a memorable experience. Having been exposed to various European and Southeast Asian cuisines, Mok moves Chinese cuisine forward as he's is very comfortable in mixing ingredients to achieve slightly different tastes that pique the interest of his diners. 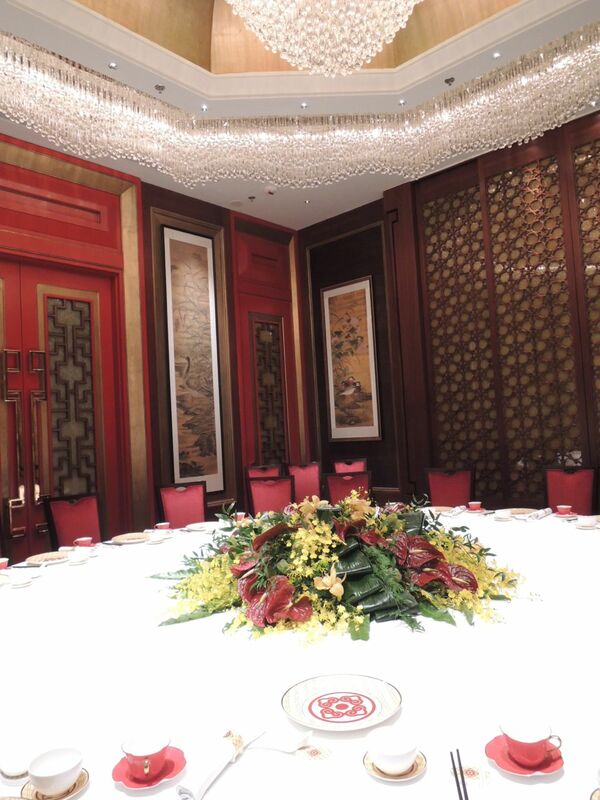 Add to that a recent makeover of the restaurant that includes a massive private room connected to an impressive cellar, Shang Palace hopes to score with its facelift in its decor and revamp of its menu. And we were very impressed. For starters there was a trio of appetisers. 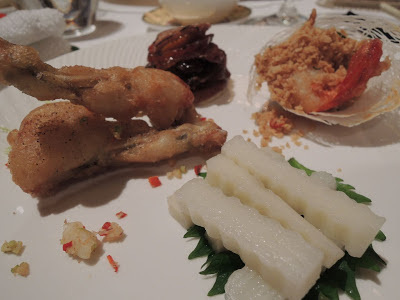 The first is a traditional Cantonese starter that usually uses chicken liver, but instead Mok substitutes it with a thin slice of goose liver layered with pork and water chestnut and lotus root for some texture. There was also the curious description of crispy fried lobster with oatmeal, but the lobster is delicious, perfectly cooked and made extra crunchy by the deep-fried oatmeal. We also had deep-fried frog's legs that were absolutely delicious, the batter enhancing the delicate flavour of the frog's legs that really do taste like chicken. There were also some slices of chilled wai san, translated at yam marinated with plums that were very refreshing. Next came a nutritious double-boiled soup of garoupa with Chinese herbs, again one of the ingredients was wai san, that apparently helps in anti-aging. More please! 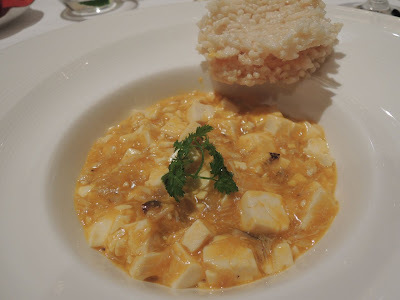 As it's hairy crab season, we were treated to a bowl of braised bean curd with hair crab roe. This dish was so delicious and instead of an accompaniment of rice, we were given rice cakes to spoon the thick sauce on and it was smooth and crunchy at the same time. Good to the last bite. 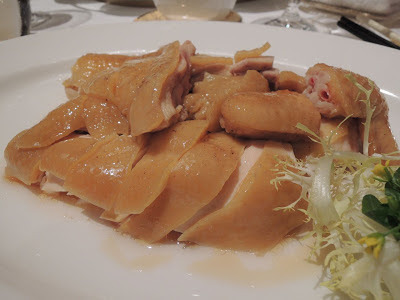 Another highlight was the poached chicken soaked in Japanese sesame oil. Here Mok slow-cooked the chicken for over an hour which resulted in very tender and juicy chicken and of course lots of flavour from the sesame oil. Mok tends to prefer using Japanese ingredients and condiments for their quality and they definitely enhance his dishes. 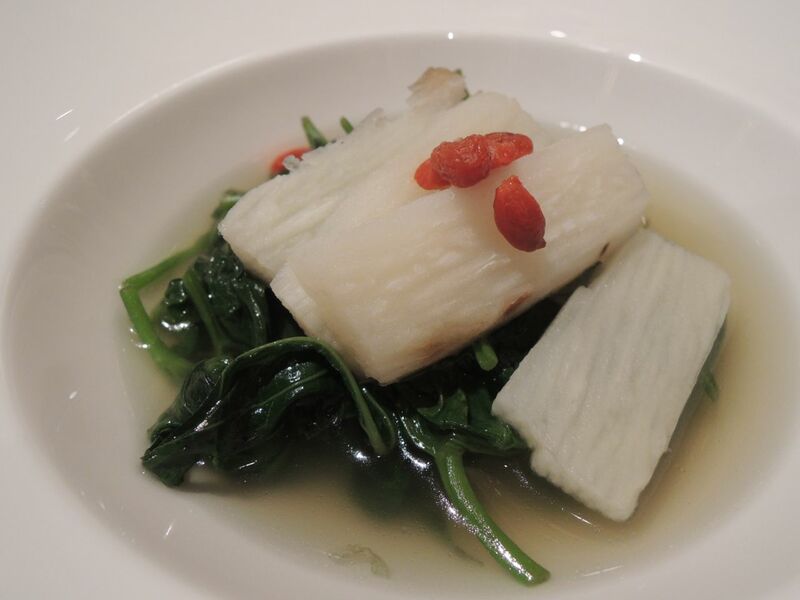 Next came the vegetable dish of sweet potato leaves poached in supreme broth with more wai san and wolfberries. 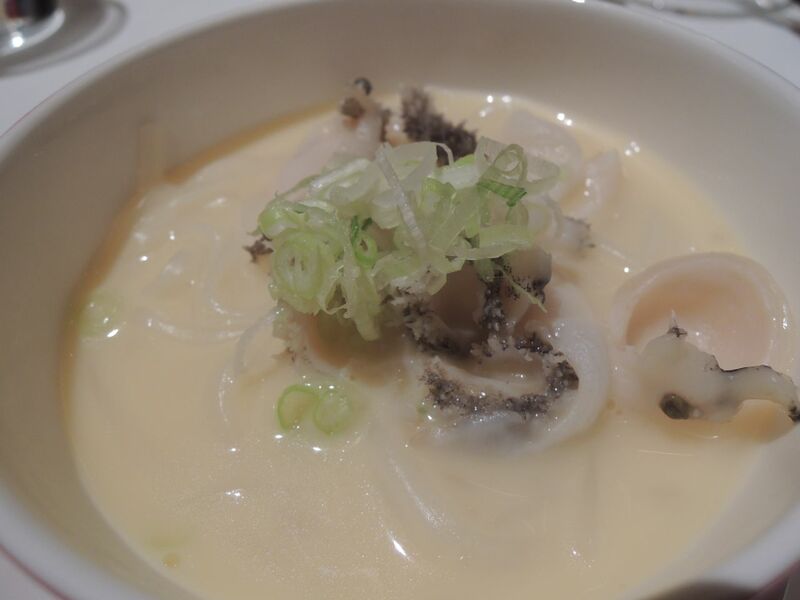 We also liked the Inaniwa noodles topped with sliced fresh abalone that tasted like geoduck, served in a chicken stock flavoured with a touch of cheese. When asked what kind of cheese, Mok admitted it was your typical cheese slice found in kids' sandwiches. No matter -- it did the trick of giving a cheese flavour without the richness. By now we were completely full, but not without sampling an array of desserts. 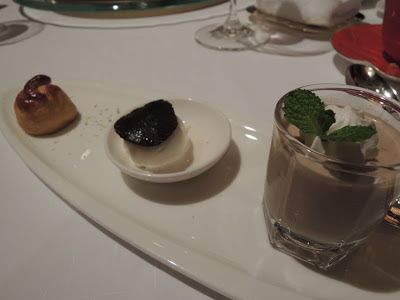 These included -- get this -- black garlic mousse, that was alternatively sweet and sour, followed by truffle-scented ice cream, and a pastry filled with lotus seed paste. 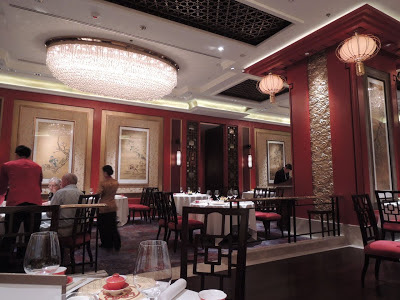 Every time I come to Shang Palace, Mok has new dishes up his sleeve. 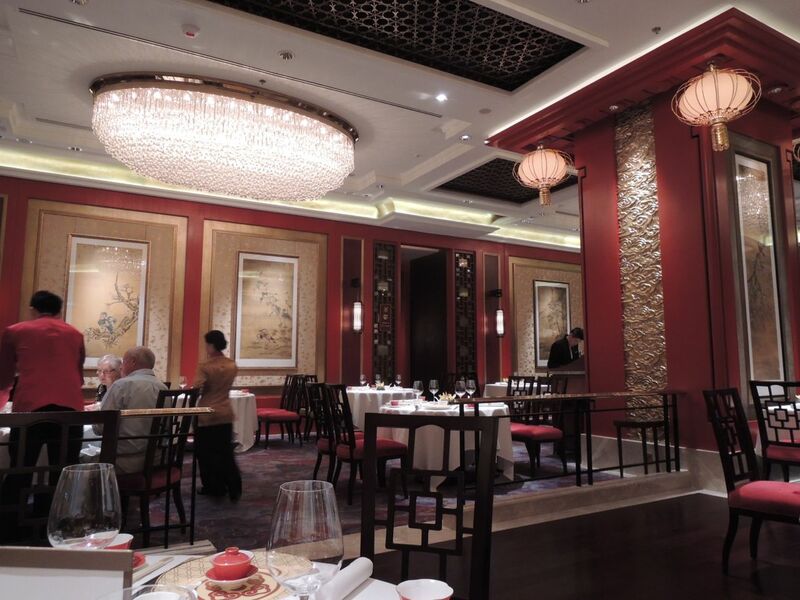 We hope his creative juices will continue to flow and bring more excitement to Chinese cuisine.